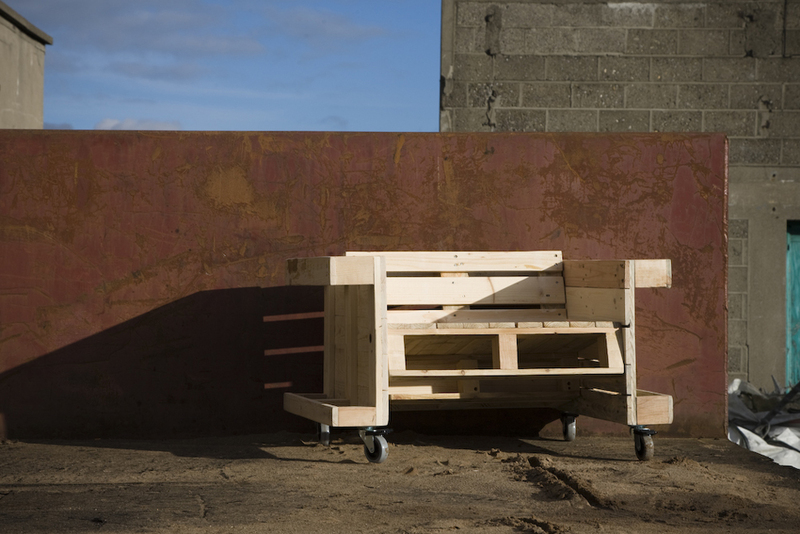 An exhibition from last October’s Design Week Dublin had left us with a pile of discarded pallets. 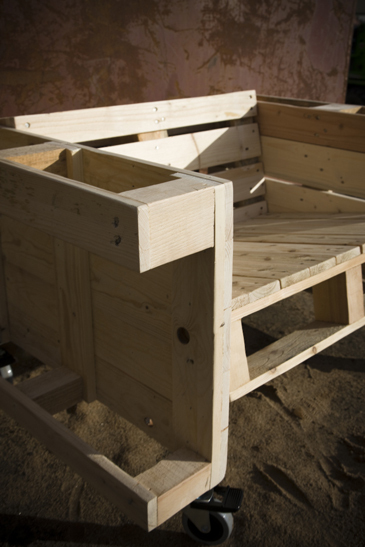 Having survived Hallowe’en bonfires, Christmas kindling and our urges to construct some goals for indoor 5 aside in our main studio space, we decided to have a go at making a small arm chair. The timber was good, so after a morning’s sanding and sweat we’d made the splinters soft and smooth. 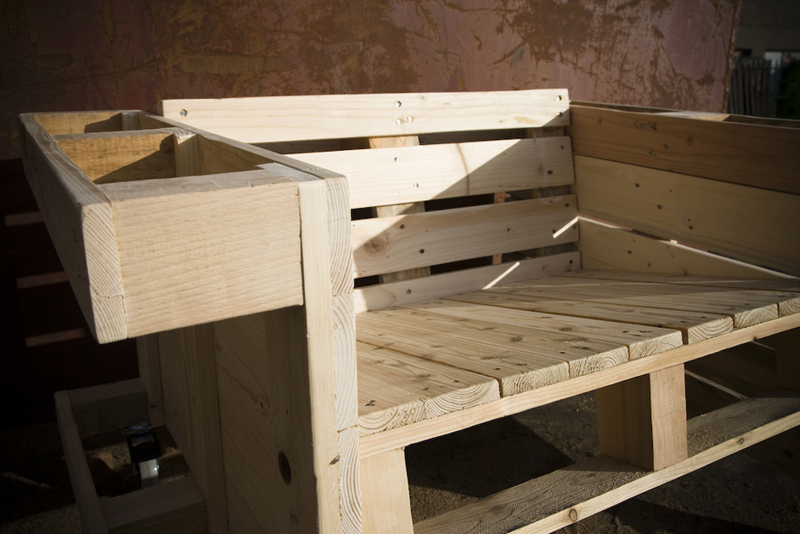 A few runs of the circular saw, some assembly and 4 Ikea castors later we had our first pallet chair. This Mark 1 version still has a few clints and grikes so we’re already thinking about Mark 2, but Sean from studioseventyseven photography took it down to Old Bailey Gibson Salvage Yard, 326-328 South Circular Road and made it look presentable when we combined a bit of counterpoint photography (Sean) with an afternoon of Perec Flaneurity (us).